How does our built environment affect us? 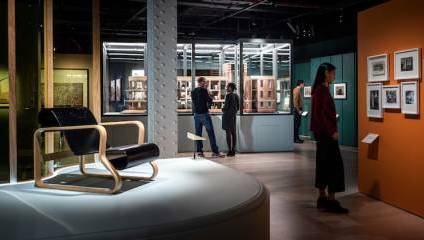 This major exhibition at Wellcome Collection spanning two galleries examines the positive and negative influence buildings have on our health and wellbeing. In Gallery 2, see an innovative mobile clinic developed by architects Rogers Stirk Harbour + Partners and humanitarian movement Doctors of the World to provide effective, adaptable  healthcare in emergency situations.